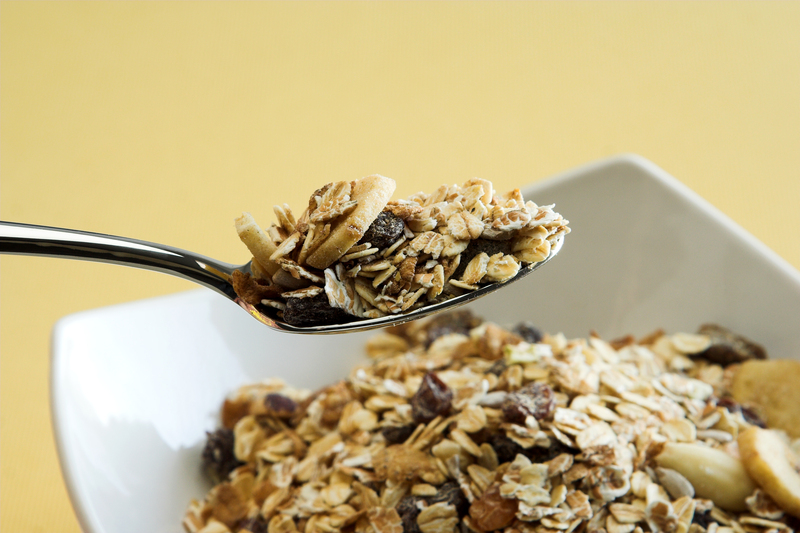 Loaded with oats, nuts, dried fruits and other grains, granola enjoys a reputation as a "healthy" food. Ads featuring rosy-cheeked hikers and yoga enthusiasts help enhance its good-for-you status. But granola and some other seemingly healthy foods don't always measure up to their image. A new survey conducted by the New York Times comparing the views of a panel of nutritionists with average Americans found that the experts and the noshing public often disagree about which foods are considered healthy and which ones aren't. Granola was the food most hotly contended. While 71 percent of the public rated granola bars a healthy food, only 28 percent of nutritionists agreed. When it came to regular loose granola, 80 percent of the public gave it a healthy vote, but less than half -- only 47 percent -- of nutritionists deemed it healthy. Why the discrepancy? Granolas and granola bars can vary widely in ingredients, Sharon Zarabi, a nutritionist and fitness expert at Lenox Hill Hospital in New York, told CBS News. So it's a good idea to read ingredient lists and nutrition labels. "In order for something to be considered healthy, you're looking at calories, fat, sugar and nutritional content," said Zarabi. Will food label makeover encourage healthy eating? If you read the ingredient list, you can see that many granola bars and granola cereals are packed with sugar, she pointed out. For example, Nature Valley Oats n' Honey granola bars contain oats as the first ingredient and sugar as the second. Honey and brown sugar syrup are also a little further down the ingredient list. Another example: Quaker's peanut butter chocolate chip chewy granola bars contain brown sugar, sugar, corn syrup and corn syrup solids. KIND Oats & Honey with Toasted Coconut bars contain tapioca syrup, dried cane syrup, honey, and brown rice syrup as sweeteners. There's a difference between those sweeteners, Zarabi noted. "Sugars are defined by their glycemic index, how quickly it gets absorbed into your bloodstream and how it affects your blood sugar levels in the body. Corn syrup has a higher glycemic index than, for example, honey," she said. Homemade granola is one way to cut down on sugar, but still enjoy it, she said. "Granola is basically toasted oats glazed in some type of sweetener -- whether it's honey, sugar or light syrup -- to make it bind and taste sweet." Zarabi suggests toasting your own oatmeal but skipping the sweetener, and adding fruit, such as freeze dried blueberries, for sweetness instead. You can also add nuts for a healthy fat and protein, which will help keep you fuller longer. Coconut oil was another food that pulled diverging votes in the survey. Nearly three-quarters of Americans surveyed (72 percent) considered it healthy, but only 37 percent of nutritionists agreed. Similarly, almost half of Americans, but only 1 in 5 nutritionists, thought SlimFast Shakes were healthy. And two-thirds of Americans viewed frozen yogurt as healthy, compared to just one-third of nutritionists. Another big surprise was quinoa, the New York Times noted. Often regaled as a "superfood," only 58 percent of the public considered it healthy, while 89 percent of nutrition experts gave it a thumbs up. Wine drinkers can relax, too. Wine, along with tofu, sushi, hummus and shrimp were all voted healthy by more nutritionists than by the general public.